Take photos of your skin and moles over time and compare them to spot any changes. Importantly, the Miiskin app does not try to diagnose you based on your photos. It’s simply your own tool to document changes to your skin over time. Miiskin is dermatologically endorsed by the Skin Health Alliance. It’s also a good idea to discuss your use of Miiskin with your doctor. Compare your close-up photos taken at different times to see if anything has changed. Miiskin Premium also lets you keep track of wide areas of your skin. Access your photos on any large screen anywhere with Web Compare. 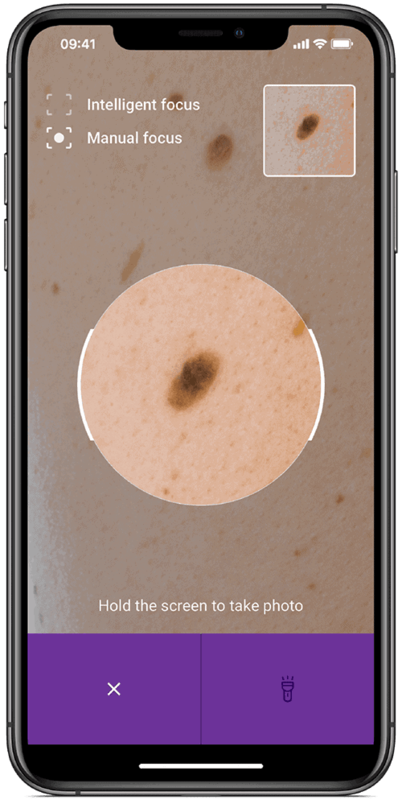 Miiskin's Skin Mapping (beta), accessed in Web Compare, automatically identifies the moles and marks on your skin that it can find. Keep an eye out for any new moles or spots - not least on the hard-to-see back.